A generator comes in handy when the mains supply goes off or when you are off-grid, and you still require power for your appliances and equipment. Proper usage of these machines is essential if you are to make the most of your generator. Failure to do so can prove hazardous to you, those around you, and the machine itself. Here are some tips on how use a generator safely and ensure it’s long life. Water is one of a generator’s worst enemies. 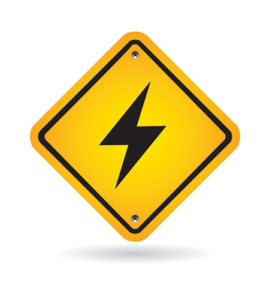 Operating a generator on a wet surface, in the rain, or any other wet conditions puts you at risk of electrocution. Other than ensuring that the surface is dry, you should never touch a generator if your hands are wet. Carbon monoxide (CO) is one of the products of burning fossil fuels to generate power. Carbon monoxide is very toxic. And if your generator runs on fossil fuels, then you are at risk of carbon monoxide poisoning if you do not channel the exhaust properly. It is for this reason that you should ensure that your generator is always positioned in an open place with lots of fresh flowing air. Never use a generator indoors. And make sure that you do not direct the exhaust to any nearby windows, or to your neighbor’s premises or RV. This prevents the generator from falling off in operation. A fall may damage the generator and/or the applications it is powering. Proper connection and wiring ensure proper delivery of power from the generator to your home, recreational vehicle, farm, or construction tools. To use a generator for your motor-home, you should make sure that you have a transfer switch installed by the electric panel for an effective changeover. A transfer switch transfers the load from the mains supply to the generator power, and vice versa as required. It’s advisable to have a professional install this device for you if you are not familiar with electrical installations. Without a transfer switch, you may be tempted to plug the generator directly into one of the power points in your home or RV. This is very dangerous, and it back feeds power into the power lines. This may electrocute any servicemen who may be performing repairs on the line, and damage the generator as well. If you intend to tap power from the generator for your appliances, then you should use a heavy-duty extension cord built for outdoor use. The rating of the cord should equal the power output of the generator. Make sure the cord is not cut or exposed in any way. Check our list of the top most useful portable generator accessories. Only use the type of fuel that is recommended by the manufacturer. Failure to do so may result in extensive damage to the generator, and you void the warranty for generator damage. Before fueling the generator, make sure that it is turned off, and it has cooled down. Fueling a generator when it is hot may cause a fire as the hot parts may ignite the fuel. When you are not using your generator, store it in a cool, and dry place. It is advisable to drain the fuel before storage but if that is not the case, add a fuel stabilizer to prevent gum buildup. Have some more questions? Read some of the frequently asked questions here. I want to get a generator for my home, so I’ll have to remember these tips. I want to make sure I choose the right place to have it installed. I’ll definitely have to make sure I put it in a location where it will be dry and free from risk of electrocution, like you said.